As the Agenda is very light and we had few registrants, we decided to change this to a catch-up call. All members are very welcome to join in (or just listen)! ART CIRCLE: A trip to the Greenwich Auction House in spring is in the works. Please get in touch if you'd like to suggest an event or get more involved in Art Circle. COUNTRY WALKS: Epping Forest in April - no details as yet. THEATRE CIRCLE: We had our first event of the year at the end of February to see Martina Majok's play, COST OF LIVING, at the Hampstead Theatre. It was nice to see some new faces at the event. It was a very thought provoking play and a wonderful production with some outstanding performances. The next Theatre Circle event is on the 28th of March to see Amy Ng's latest play, UNDER THE UMBRELLA at the Tara Arts Theatre. The event is now fully subscribed. Anyone with ideas and suggestions for other theatre productions in May/June, do get in touch with May Gibson. TWITTER: if anyone has anything they'd like me to share on YCL twitter, they can email kamilla.arku@gmail.com. YALE GLEE CLUB and Trinity Chapel Choir performed to a full house in Trinity Chapel on Saturday. The YGC brought a diverse programme, largely American based, and bravely performed two very British numbers by CV Stanford: works designed for the chapel acoustic. They also showcased some young conducting talent and ended the programme's first half with 'Bright College Years', inviting alums from the audience to join (white handkerchiefs and all). The combined choirs made a tremendous sound and will do so again in September when Trinity visits Yale. 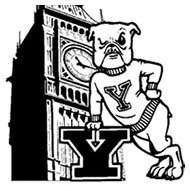 YALE INTERNATIONAL ALLIANCE:: The YIA is a SIG connecting alumni who care about global issues, and is implementing its new Strategic Plan, including a global conference for international alumni in 2020, focused on the topic of Global Leadership. ASC-UK Although the Class of 2022 has been admitted the ASC system has yet to update. Numbers will be released soon. Safe Haven Basketball is a club for young people with learning disabilities. Our aim is to offer quality coaching and competition opportunities to players of all abilities, and to foster personal development through sport. Currently offering sessions in London, in Westminster and Hackney. We are looking for volunteer buddies who can commit regularly to our Hackney sessions to support the players. It is important to commit to a term at least, as many of our players find change difficult. It is our aim to make sessions enjoyable for all participants, members and buddies alike, and every session includes both skills training and a game. You can also click here to search for more volunteering opportunities.